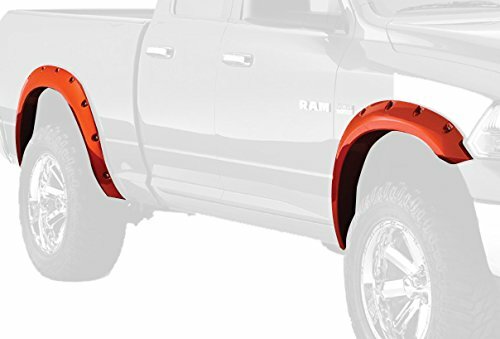 Best Fender Flares for RAM 1500 Reviews: Top 6 in April 2019! 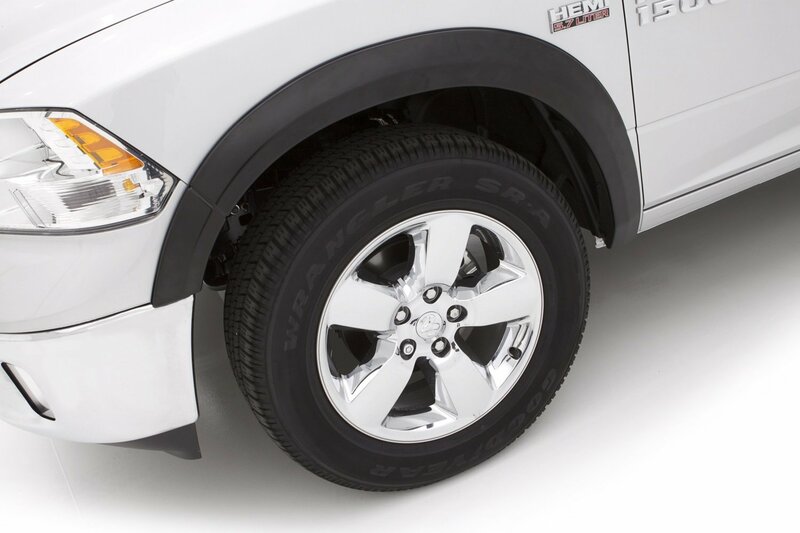 Best Fender Flares for RAM 1500: List of Top-Rated in 2019! Hi, this is Ken Coul, and it’s time to talk Fender Flares. You might ask, what are Fender Flares and why do I need them? Well to answer this we need to look at two separate and distinct issues and of course answer the first half of the question. 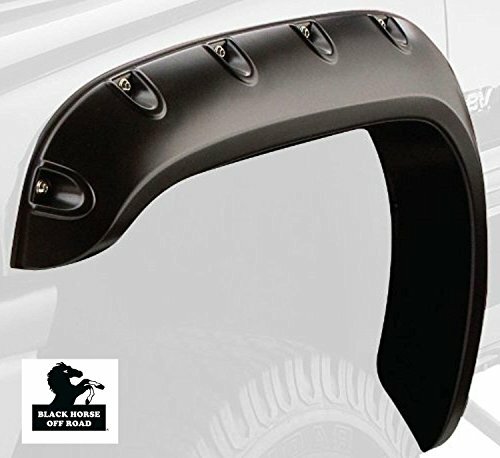 A Fender Flare is an extension of your vehicle’s body over the wheel well and is designed to improve the appearance of your truck with different styles, colors, and designs. You need Fender Flares for two reasons, the first is to look good, and the second is to comply to certain state laws that cover trucks with pimped up wheels and tires. So, if you have made some changes to your truck, such as increasing your wheelbase and tire size, or live in a state that has legal requirements for large stock tires, you will need Fender Flares. What do Fender Flares do apart from looking good? They protect the close proximity of your vehicle from spattering when driving in wet or dusty conditions. They are good for covering up rusty wheel wells, and they can replace stock fender flares that are damaged. Now let’s look at five of the best fender flares on the market, and I am not concentrating on design features but on materials, reliability, and brand. After all, no one can challenge style; it’s a personal issue. These Bushwacker flares are made of Dura-Flex 2000 which is a sturdy and reliable material. These flares come in a bright white finish and give you the pocket style fender flare that gives an improved tire coverage. The kit comes with a full edge trim, with pre-installed stainless-steel hardware, so you don’t need to drill or cut anything. This flare provides you with an amazing 3” of tire coverage that provides ample protection from debris and liquids. Bottom Line: A cool looking flare that comes in the paint color of your choice (these are white) and is out of the box ready to install in minutes. These are another great Bushwhacker flare kit and this time are OEM matt black made of their rigid Duraflex 2000 material. The front and rear flares provide a 2 ½” coverage, so you get full protection from debris and liquids. 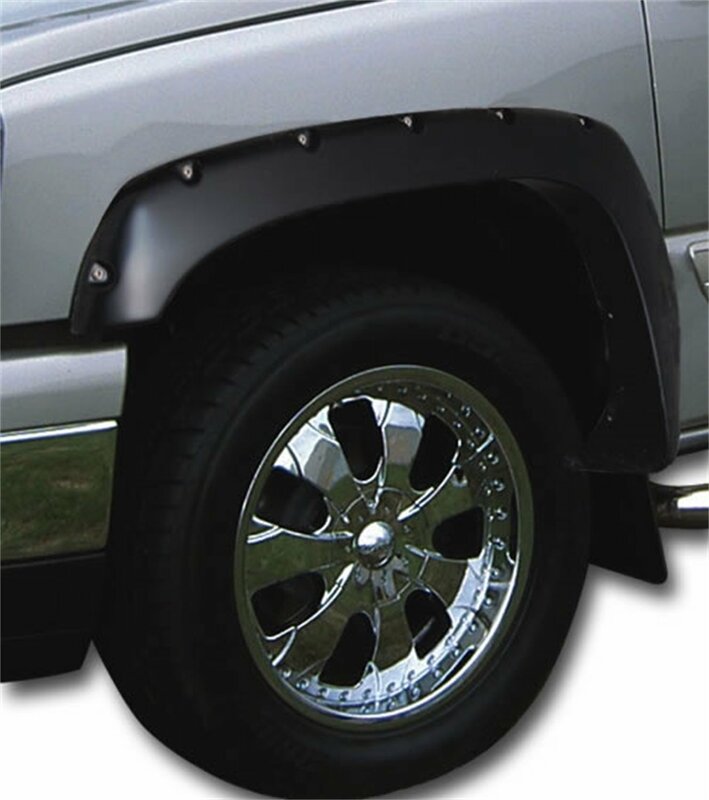 These pocket style flares come with a recessed stainless-steel bolt design and were created for oversized aftermarket wheels and tires, especially these vehicles that had some leveling or lifting done. The matt black cover prevents chalking, and you can paint over the finish with any color you prefer. This kit comes prepared for immediate bolt-on, and it only takes minutes to attach them from out of the box without any drilling required. Black Horse is another great brand that makes durable pocket style flares from a sturdy Duraflex plastic that provides long-lasting performance. These flares come in a matt black finish and come with all the necessary hardware for a fast installation. These parts are made with precise fitments, so you just place them over the stock holes and secure them in place. The EGR is far from being an understatement in design. These wheel eyebrows are designed to be seen. These pocket style flares have a squared bolted look and will make you noticed. They are CAD designed for a perfectly blended appearance and are made of tough ABS plastic. The matt black coating can be painted to match your design requirements. These flares come prepared for immediate installation with no drilling or calculations required, and they provide you with 5” of height with a 2” coverage. It’s time for a no-nonsense, no frills, easy to install in minutes kit. This Stampede item is made of their proprietary tri-blend ABS material (GDMNIT, that sounds good enough to smoke) The 2” clearance protects you from all the debris and liquid that your wheels will dig up and still look good. These chunky matt black flares will install in minutes, come with all the hardware needed for a fast install and will last you longer than your truck. They are 5” high in both front and rear, so you get that thick rugged bolted appearance for the maximum impression. Its time to be sleek and these flares are made of an extremely tough proprietary tri-flex UV resistant thermoplastic material. They are 4 ¼” high and sleek, providing only 1” of coverage, which makes your truck more maneuverable in tighter spaces. These flares come with easy to install clips and use factory locations for standardized and fast installation. 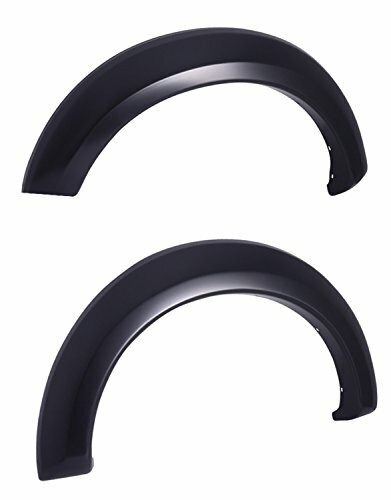 These fender flares are sports style, meaning that they provide you with less wind resistance and less width, making them perfect for a racing application. In some states, the law requires that the tires treads are covered. This means that you need fender flares to extend out and over your tire width. In factory pre-set flares you get this coverage, but when you want to either pimp up your car to look cool, or if you change your wheel and tires to a wider and larger model, you will have to change the fender flares to meet the new dimensions. The law is in place to reduce the risk of debris and liquids from spraying out and hitting bystanders or other vehicles. Many trucks tend to work off the road, and their tire treads fill with mud, stones and other debris. The fender flare is in place to reduce the risk and danger of flying debris that can be damaging, dirty and even lethal. Now let’s look at some of the different styles there are available to buy. The style is more a personal choice; it boils down to what you want your vehicle to express. There are a lot of different styles, and there is no standardization, most manufacturers slap on a trading style they associate with. However, in essence, there are four categories or styles, and these are OE, Street, Pocket (or Bolt) and Extended. Just remember that when you buy a fender flare kit, you buy one with the holes made to fit your vehicle, this means no drilling, cutting or any other damage to your vehicle. You just clip them on, bolt them in and presto you are ready to go. These are factory stock style, made to look like a factory upgrade. If you want a muted appearance, where your vehicle looks like it has a factory installed stock that might be slightly more impressive than the original one, this would be your choice. Take note that these are not made by the original factory, they are all aftermarket products made by private suppliers. Street flares come in various sizes, but in essence, these are usually smaller and less accentuated than the other styles. These are designed to deliver a sleeker and more low-profile look, aimed at either inspiring the desire for racing, inspiring amazement, awe and even fear. These fenders are built to protect the wheel well and show off at the same time. These are the superheroes of the fender flares. Designed to be noticed, bulky, and in some instance tank like. These flares usually come with that integrated bolted look and appearance. Some are curved, others square. They usually come with a matt black finish for you to paint over. The bolted look doesn’t mean you bolt them on; it means that have either a chromed look like a bolt appendage or a colored one that fits in with unified color design. The bottom line is that these are made to look impressive and strong, designed to be boss of the road and to stand out. If you don’t notice these, then they are not worth the money you pay. The Extended Style is a muted flare style that just want to be seen but don’t want that rugged bolted or sleek street look. They do not intend to be OEM style; they are made for pimped cars that lust seeks a pimped look. However, don’t misinterpret their capabilities for sturdiness and their combine to legal requirements. These are extended flares that deliver a non-bolted appearance in style. 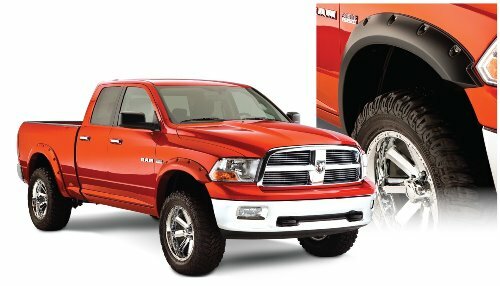 Before you install, make sure the fender flare kit is for your type of vehicle. Always have a clean working area and all tools at arm’s length. In a vehicle with fender flares, first, remove the old ones. So, you must first unbolt them, these bolts are found by reaching behind the fender. Then align the new set to see if they are a perfect fit. Screw in the bolts into place.